Did you know that California is the state with the most stolen vehicles? To help address this problem, the Automobile Club of Southern California and local law enforcement will provide free anti-car theft Vehicle Identification Number (VIN) etching for car windows on Wednesday, April 18 from 10 a.m. to 3 p.m. at the LAPD-Hollenbeck Division, 2111 E. 1st St., Los Angeles. The Auto Club is co-hosting the event with the LAPD-Hollenbeck Division and the National Insurance Crime Bureau (NICB). The agencies also will offer theft prevention tips to car owners. The FBI Uniform Crime Report noted 4,354 car thefts in Los Angeles County in 2016. The LAPD-Hollenbeck Division noted 192 vehicles stolen so far this year in its jurisdiction. Use a valet key when valet parking. Some vehicles have special valet keys which can only be used to park your vehicle. Several high performance vehicles also use special keys to limit vehicle speed and engine revolutions per minute (RPM). 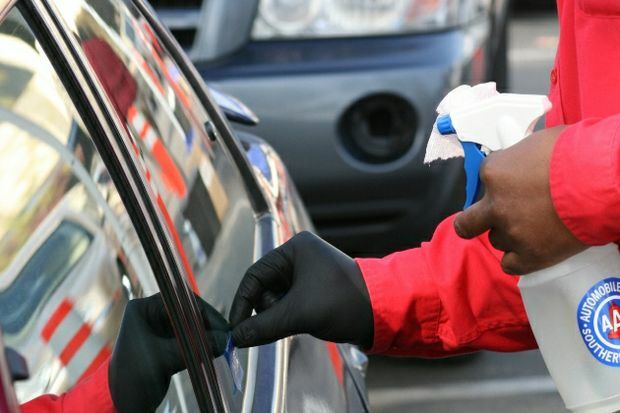 There is no guarantee that your car will not be stolen, but taking precautionary measures can minimize your chances of becoming the victim of auto theft.